Could replay an episode of Freedom perhaps? Yes I know we've all seen way back when it but the normal people we have these days might not know it. You'd hope they were, though not too much. 009-1, Abenobashi, Akihabara Dennougumi, Argento Soma, Aria, Ariel, Armitage III, Asobi ni Ikuyo, Avenger, Babel II, Birth, Blue Drop, Blue Gender, Please Save My Earth, Bokurano, Bounty Dog, Brain Powerd, Orguss, Locke, Dancougar, Gravion, Justy, Cosmowarrior Zero, Coyote Ragtime Show, Cyborg 009, Ariel, Voogie's Angel, Detonator Orgun, Dragon's Heaven, DT Eightron, Dual, Eat-Man, Eureka Seven / Ao, Fantastic Children, Figure 17, Nadia, Galaxy Angel, Gall Force, Generator Gawl, Geneshaft, Bryger/Baxinger, Border Planet, GE 999, Giniro no Olynssis, Good Morning Althea, Green Legend Ran, Gun x Sword, Heroman, Hoshi ni Negai wo, Idolmaster Xenoglossia, Innocent Venus, Interstella 5555, Iria, Juuousei, Kacho Oji, Gatchaman, Kenran Butou Sai, Nadesico, Mospeada, Koutetsu Jeeg, Kurau Phantom Memory, Megami Kouhosei, Memories, Wandaba Style, Daitarn 3, Tri-Zenon, Narue no Sekai, Nayuta, Onegai Teacher/Twins/Ano Natsu, Outlanders, Ozuma, Photon, Plastic Little, Yukikaze, Solty Rei, Votoms, Fafner, Space Fantasia 2001, Spirit of Wonder, Star Driver, Star Ocean, Tamala 2010, Tenamonya Voyagers, Trava, Trigun, Tytania, Carlvinson, Tekkaman (any), Stellvia, Baldios, Grandaizer, Venus Wars, Zegapain, Z.O.E. Greg and I had a playlist several weeks ago. Specific episodes incoming. I listed everything I could think of at the time. Illness, work and the fact I've had sweet bugger all time the last month is why determining a list in detail took this long. Haven't watched any anime in the last 4 weeks aside from a couple of Kaiji S2 eps. And I missed this week's meeting due to illness. And I've been organising stuff for two AVCon events. Okay, tell me what you think of this one. PlanetES 6 (The Space Ninjas Episode) - Seems an obvious one to show people who haven't seen the show before and want a reason to watch it. Was the episode that hooked me in back in the day. And it's on the moon. Kind of need something on the moon for a 'Fly me to the moon' night. Considered Infinite Ryvius in this slot but it's too series for AJAS, I can see that complaint coming a mile away. Aim for the Top! 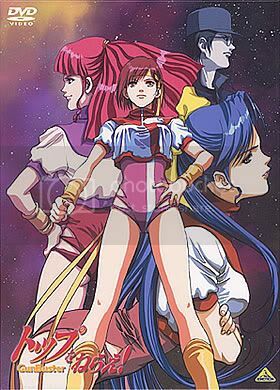 Gunbuster 1 - Pretty good for a first ep and it's a pretty win title. Gotta love those character designs and outfits too. And pretty sure it will be expected to be on or bodies are gonna fly. 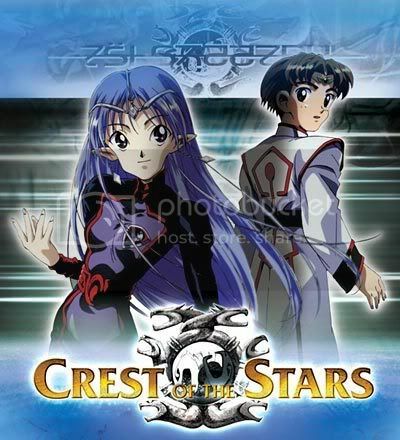 Crest of the Stars 2 - It's a good show. But ep1 is too info dump and no Lafiel. Ep2 has great Lafiel moments and still allows you to pick up on what's going on. Any further in and it''s too hard to grip the plot plus Lafiel gets on the backburner for a bit. Voices of a Distant Star - Okay...I know a lot of you have seen it. But Shinkai is awesome and I can think of 5-8 people that haven't seen any Shinkai before. Considered Noein and Fantastic Children in this slot but couldn't find suitable episodes. Plus Shinkai is kind of like Kon for us - watching them again every now and then is good times. 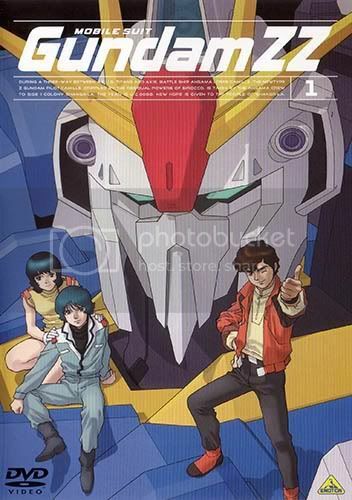 Gundam Double Zeta 14 + 15 (or one of those eps and a Macross Plus/Nadesico one or something else) - MOON-MOON CULT DOUBLEHEADER FTW!!!!!!!! Those two episodes are gold. You don't have to know what's happened beforehand. They're awesome insanity and . They're on a moon. But if you REALLY want a Macross episode, have one. I'll ask Sam for a good one. 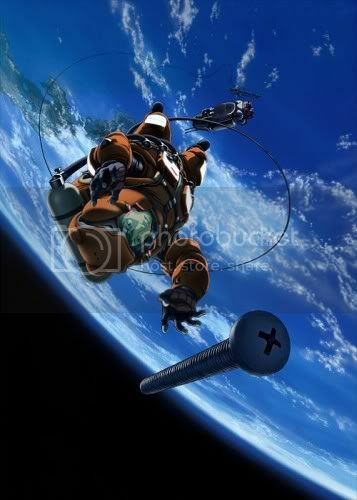 Or we could play Nadesico again. Vandread is decent early and had some decent service/CG/battle/spoof moments. Zegapain is rather whack but maybe too whack. Also considered Honneamise and A-ko but way too long considering the limited time. Golion would be amusing and I'd kind of like it but it is rather lacking at times.